It’s not a secret Arizona has a plethora of pro-family, pro-child common sense laws on the books. This is one reason the state is under attack this fall in the midterm elections. Arizona’s current laws exist to guide public schools during their curriculum decisions and they have allowed for an abundance of school choice which is exposing the demise of the current public education system. The adults in the school board rooms and on campuses continue to ignore laws, which results in de-sensitized children–young children who don’t belong to them. According to The Arizona Daily Independent (ADI), the Flagstaff School Board does not take any role in approving outside presenters in their schools; in this case it was Northland Family Health Center who presented Gender Bread to seventh-graders. In the Board’s defense, they are not required by law to approve outsiders. Due to this, we circle back to the emails exchanged between staff members of Phoenix Union High Schools and Planned Parenthood. According to the emails, thankfully Planned Parenthood had to be approved by the district. We do not know if that ever occurred, but if it did, who does the approving and what are the standards for approval? Are those individuals from outside sources fingerprinted and background checked? Are their curriculums and handouts checked by anybody to see if they conform to state standards? It didn’t happen in Flagstaff, even by school board members the taxpayers elected to run the schools. As ADI reports, Ms. Alexa Frechette is the Mount Eldon teacher who invited Northland to administer the Gender Bread curriculum. Ms. Freschette has a sketchy agenda she is pushing on Flagstaff students, yet she was a finalist for Teacher of the Year in 2016. That is all parents will remember when their child is assigned Ms. Frechette and it looks great on her resume. She will continue to push the envelope because she can. 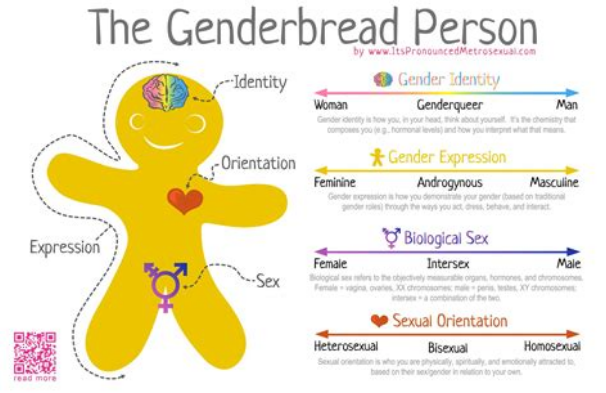 What exactly does Gender Bread have to do with English Language Arts? Stunts like this are exactly why our children are not learning in schools, despite what your school board tells you. Ms. Frechette is not the first to have an outside entity bring Gender Bread into schools. In California, it was Planned Parenthood who did the same thing, again to the parents’ surprise. If anyone reading this wants some entertainment, attend a meeting or two of your local school board. It is like a low-key Hollywood awards ceremony. Board members don’t miss an opportunity to pat each other on the back for their public appearance at some lunch or the great work they did overseeing a particular task with a pre-determined result. They rubber stamp expenses, kowtow to the Superintendents, and brag about everything superfluous while never addressing real problems occurring in their school buildings. They patiently listen to public comment, ultimately ignoring most of it, especially if it has any substance and is opposite their pre-determined plans for the tax money they can’t wait to spend. Meanwhile, since school board members aren’t doing their jobs, it’s imperative parents read this link about just what the trans community has in mind for YOUR child. We have inserted a few screenshots in case you can’t stomach the entire article. Those who know there is a God are regularly told they are anti-science. Now we have proof it is the trans pushers who are anti-science. They admit in the shot above biological reality is to be ignored. So who really is anti-science? When your local education activists complain they need more money to teach, remind them they are already teaching, they are just not teaching what we as parents expect them to teach. Until we see academic results instead of cultural demise, these activists do not deserve one extra dime in their checks, and that includes the administrators. Why are there no teeth in Arizona’s pro-family/children laws? Maybe this is something the 2019 Arizona Legislature should tackle. This will require some backbone and those legislators must be well-prepared for the media onslaught. Well, we won’t hold our breath.